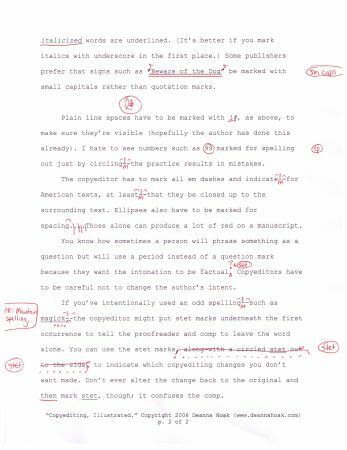 When I made my post “Understanding Your Copyedited Manuscript” about a month ago, several people noted that the information would be much easier to understand if illustrated. Since I obviously can’t post someone’s actual manuscript up on my website (and since it’s highly unlikely there would be enough marks in a few pages to be useful anyway), I needed to write up enough information to be illuminating, mark it up, scan it in, and post it. I did so and incorporated as much useful information as possible into two pages. I hope this is useful to you! You can print these out to see them more clearly. I hope you don’t mind a copyediting question. When I format documents for my day job, I format the punctuation in the same manner as the preceding word. In a novel manuscript, would the same rule apply? For example, if I underline a sentence to be italicized as a character’s thoughts, would the ending punctuation also be underlined? Fantastic example. *Much* clearer than any I’ve seen. 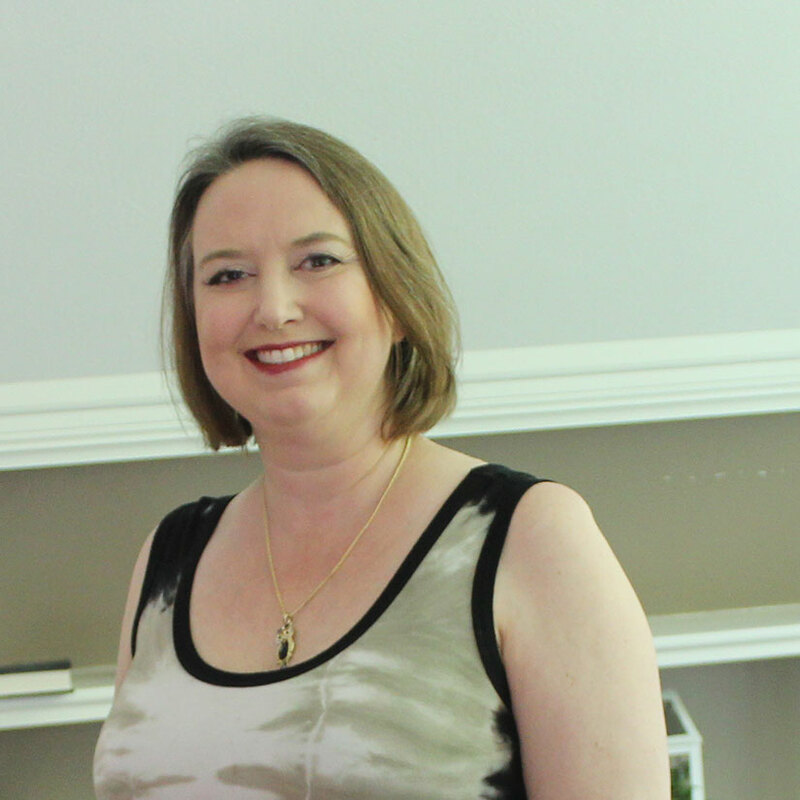 Brandie: I’ve always disliked that rule and have preferred to format punctuation in the style of the main or surrounding text. The latest edition of CMS finally agrees with me, but some publishers still insist on the old way of handling it. Thank you for the clarification. I think I asked the question in a strange way, but your response makes perfect sense. Thanks for adding me back as a friend on LJ. I think I’ll learn a lot from reading your blog. (BTW, nice to meet you at WFC). It was nice meeting you, too, Brian! 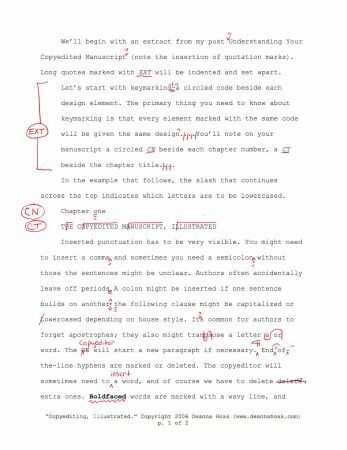 The manuscript isn’t all codes; it has a lot of edits in it, too. Authors usually get to make sure they agree with the edits before the manuscript is sent to the comp.